Spirit Airlines is one of the several ultra-low-cost carriers based in the United States. With a really restrictive fare model and no-frills planes, Spirit is certainly not for everyone. There are many complexities and restrictions when booking Spirit tickets that most travelers may not be aware of since their tickets only include the bare bones. Spirit Airlines isn’t like every other carrier — in fact, their booking and onboard procedures differ from those of many other airlines. What may seem like common knowledge may not necessarily be so for folks interested in flying Spirit, so we’ll be exploring in-depth to help ensure you have a smooth journey. 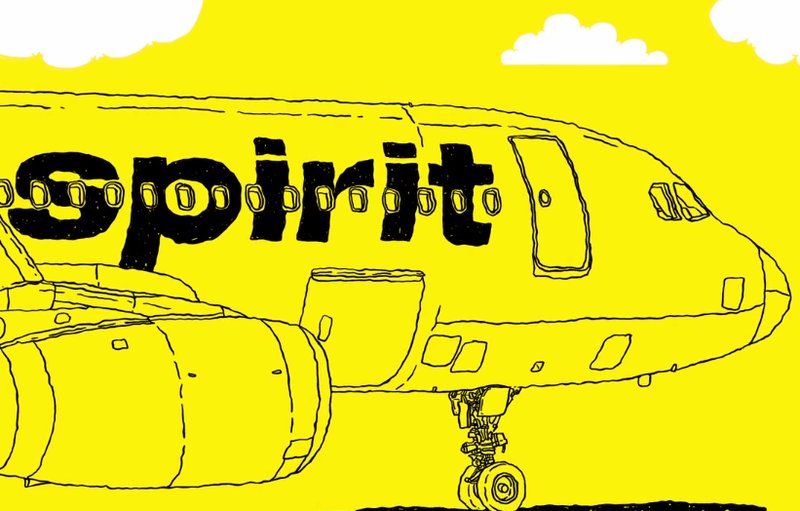 What is Spirit Airlines and what is their basic business model? Why is Spirit Airlines considered ultra-low cost? Do I have to purchase a seat on Spirit Airlines? Can I purchase a seat assignment while I book my ticket? How can I book my flight and get my boarding pass? Can I print my boarding pass at the airport? Are there guests who can’t check-in online? Are guests allowed to travel with an infant on their lap? Are unaccompanied minors allowed to travel on Spirit Airlines? Can I change my name on a Spirit reservation if it is misspelled? Can I travel with my mobility aid or wheelchair on Spirit? What are Spirit’s baggage fees? Where can I check the size and weight limits for bags? Are travelers permitted to carry their personal dialysis machine, insulin device, or other medical device onboard? Can I carry my sports equipment onboard? Are travelers permitted to travel with a musical instrument? What is the $9 Fare Club? How do I join and what are the benefits? What is the Free Spirit Frequent Flyer Program? How can I save by booking a Spirit ticket at the airport? 1. What is Spirit Airlines and what is their basic business model? 2. Why is Spirit Airlines considered ultra-low cost? 3. Do I have to purchase a seat on Spirit Airlines? 4. Can I purchase a seat assignment while I book my ticket? 5. How can I book my flight and get my boarding pass? 6. Can I print my boarding pass at the airport? 7. Are there guests who can’t check-in online? 8. Are guests allowed to travel with an infant on their lap? 9. Are unaccompanied minors allowed to travel on Spirit Airlines? 10. Can I cancel or change my flight reservation? 11. Can I change my name on a Spirit reservation if it is misspelled? 12. Can I travel with my mobility aid or wheelchair on Spirit? 13. What are Spirit’s baggage fees? 14. Where can I check the size and weight limits for bags? 15. Are travelers permitted to carry their personal dialysis machine, insulin device, or other medical device onboard? 16. Can I carry my sports equipment onboard? 17. Are travelers permitted to travel with a musical instrument? 18. What is the $9 Fare Club? How do I join and what are the benefits? 19. What is the Free Spirit Frequent Flyer Program? 20. How can I save by booking a Spirit ticket at the airport? 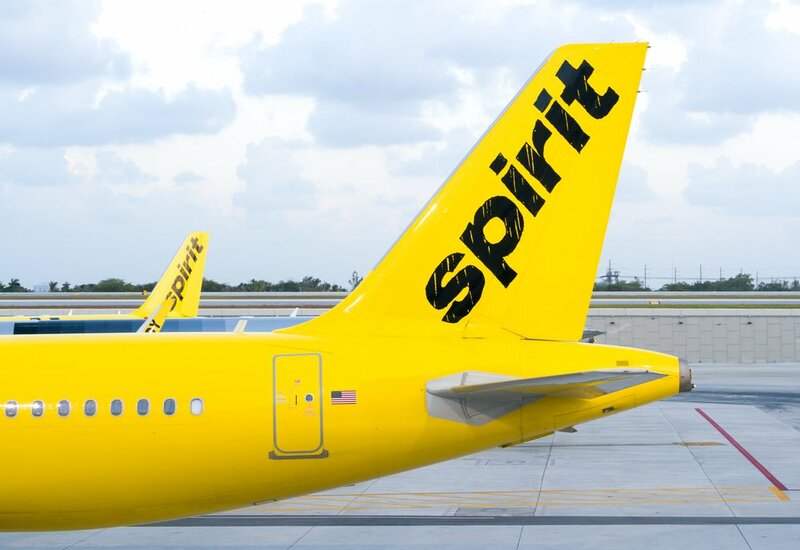 Spirit is an American ultra-low-cost airline that operates flights in the U.S., the Caribbean, Latin America, and South America. The airline is headquartered in Miramar, Florida with bases in O’hare (Chicago), Atlantic City, Dallas, Orlando, Las Vegas, and Fort Lauderdale. Spirit Airlines offers great deals and incredibly low-priced air tickets to its customers — there’s no secret about that. Many consumers who are looking for a no-frills ticket look to Spirit Airlines for their flights. The base fare can be as low as $29 in many circumstances… sometimes even lower. In March 2007, Spirit changed its fare model by removing amenities (which inflate the base ticket price on other carriers). Basically, the more amenities you include, the more a ticket will cost. To capture their market, Spirit reduces the cost of a ticket and lets passengers buy all of the ancillary items separately (like seat selection or checked luggag). 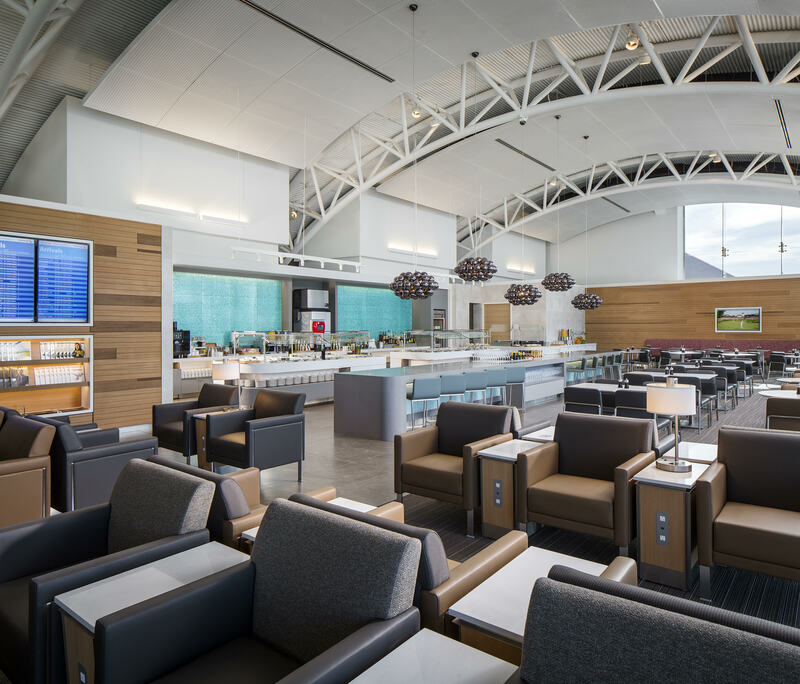 Spirit charges a low base fare, and customers are required to pay for carry-ons, drinks, food, seats with additional leg room, and baggage. This enables the carrier to earn extra revenue while posting fares much lower than traditional legacy carriers. Image courtesy of Markus Mainka via Shutterstock. Yes — you must purchase a ticket to fly to any of Spirit’s destinations. The base fare is usually between $29 to $39 for cheaper tickets. But seats themselves are assigned randomly at check-in unless you pay in advance to choose one — so, to be very clear, a specific seat selection is not included in your ticket price. As a passenger, there’s no guarantee that you’ll get to sit with family and friends unless you pay to choose seats. So if you are traveling with companions, take your time to read the Spirit Airlines policies and purchase seats ahead of travel. Bottom Line: Seat selection isn’t included with your ticket on Spirit, so you’ll need to pay more if you want to choose where to sit. Yes, though Spirit considers this an add-on feature. As discussed above, Spirit assigns random seats to its passengers during check-in — to choose a seat(s) you really want, you have to pay an extra $5 for seat assignments. You can also pick what’s known as a Big Front Seat, which is essentially a first class-style seat with fewer perks (this upgrade starts at around $40). A Big Front Seat has 32% more legroom without a middle seat — definitely the prime real estate! To view the seat prices for a specific flight, check the Seat page when booking online. You can also look under My Trips or the Online Check-in page within 24 hours of departure. Visit Spirit.com for the quickest way to book your flight and get your boarding pass for free. Start by signing in with your credentials. If you do not have an account, create one (it’s called a FREE SPIRIT account). This only takes a few minutes, and then you can log in and print your pass at home. After selecting or adding the required details, click “Search Flights.” Results will be displayed on the webpage, where you can book your flight. If you have a promo code, the website has an option for you to enter it at checkout. Once you finish the process, you can print your boarding pass. This is also a good time to buy a seat assignment if you want, since these activities are less expensive online at home than in person at the airport. Yes, Spirit Airlines has simple self-service kiosks where you can purchase tickets and print boarding passes in minutes. It is important to remember that check-in or purchase of tickets should be done 1 hour before departure. If you are in need of assistance, there are customer service agents at the airport. At the check-in counter, boarding passes are available — but customers will be charged $10 to print a single boarding pass. So if you want to save, print your boarding pass at home. Bottom Line: When it comes to Spirit bookings or boarding passes, avoid talking to a human if you don’t want to pay extra! At the airport, there’s significant fees even to do simple tasks. The guests above are required to check in at the airport counter. Unlike others who will be charged $10 when printing boarding passes at the airport, the guests listed above will have the $10 fee waived. Yes, guests are allowed to travel with an infant on their lap. Before departure, you should check in with Spirit staff. Spirit Airlines provides the following guidelines when it comes to traveling with an infant. Infants under 7 days old or requiring life support systems like an an incubator are not allowed to board (like most airlines). As a traveler on Spirit Airlines, you need to know that fees and taxes are applicable when an infant accompanies you. The amount charged depends on the destination. Unaccompanied minors are allowed to travel alone, but only on domestic direct flights (within the U.S., the U.S. Virgin Islands, and Puerto Rico). However, they are not allowed to travel unaccompanied on international flights, domestic flights where aircraft change is scheduled, and connecting flights. When flying domestically, unaccompanied minors are taken care of onboard by the airline staff. They will be offered snacks and beverages for a fee, just like any passenger. Unlike most other legacy carriers, Spirit will not facilitate a gate transfer in connecting cities. Yes, Spirit Airlines allows guests to change or cancel their reservations for a fee of at least $90 online and $100 over the phone. The recommended method to change or cancel your flight reservation is to visit Spirit.com (to avoid having to talk to a person and incurring an additional fee). Sign into your account and click “My Trips” to make the changes or cancellations yourself. If you are unable to do so, you still can talk to any Spirit Airlines Guest Service Agent at the airport (for a fee). You can also visit the Reservation Center, but you may be charged for this service. Spirit Airlines allows changes or cancellation requests to be made up to 1 hour before departure. If you cancel your reservation 24 hours before departure, the remaining balance is issued as credit. If you cancel via Spirit’s Airlines online portal, you will be issued a $10 voucher (one-way), which is applicable on future travels provided the reservation charge is less than the cancellation fee. Bottom Line: Canceling or change a ticket can cost you a pretty penny (at least $90 if you do it yourself online). Yes, you’re allowed to change a name that’s misspelled by a few characters. Issues like this are normally made when typing and booking flights in a hurry, but they can be fixed. To change your misspelled name (free of charge), contact Spirit Airlines’ customer support team. You can also request a change of your legal name, which will require you to provide supporting documents and reason(s) for the change (like a divorce decree, marriage license, or court order). A name change request must be directed to Spirit Airlines Guest Relations Department, and can be done online. Visit Spirit.com/help — at the bottom, you should find an option to attach your documents. If you need to make changes to your contact information, date of birth, passport number, or gender, contact the Spirit Airlines Reservation Center or email the Customer support team. Remember to have copies of your legal documents. Image courtesy of Ken Wolter via Shutterstock.com. Yes, Spirit Airlines accepts mobility aids and wheelchairs for travelers. If applicable, these devices can be carried on to your flight at no charge. To check your mobility aid or wheelchair, visit the ticket counter or gate. If traveling with a battery-powered mobility aid or wheelchair, we recommend arriving at the airport 2 hours before departure to ensure proper handling of your device. Officials at the ticket counter will recommend that you carry any detachable items like footrests or seat cushions onboard. If this is not an option, they may be stowed in the cargo bin. To make your check-in process fast and smooth, Spirit requests that guests provide the airport crew with written instructions on how to handle the wheelchair or mobility aid and recommends bringing your user manual. You can also fill in a Mobility Aid Information form on Spirit.com. Bottom Line: You can certainly travel with a wheelchair, but if you need to check it, there will be a charge. Spirit Airlines allows travelers to check in with 1 personal item the size of a small box (e.g., a small backpack, handbag, or purse). These items are included in your base fare, which means you will not be charged extra fees. However, Spirit will charge for extra baggage and some personal items. If you plan on carrying extra luggage, make sure to check in online before departure! The charge for your extra items will be lower if you add them when booking your flight than if you wait and do it at the airport. Fees for carry-on bags run from $26-$55. Hot Tip: Prepay your bags when you purchase your trip to reduce expenses incurred at the airport. Personal items allowed by Spirit’s airport crew at no charge include cameras, assistive devices, umbrellas, coats, wraps, hats, and books. Head and neck pillows are allowed, but they must fit inside your backpack or bag. There’s a common misconception that true low-cost carriers such as Spirit don’t allow even small personal items onboard — which is why we’re so thorough to mention everything you can and cannot bring with you. Bottom Line: If you’re carrying on a bag (non personal item), you could pay north of $50 to bring that bag onboard. Spirit Airlines allows personal items or backpacks under 18″ high x 14″ long x 8″ wide. The personal items should not exceed the dimensions above including wheels and handles. The maximum dimensions for a carry-on bag are 22″ high x 18″ long x 10″ wide. If your carry-on is too big to be stowed safely in the cargo bin, you’ll be required to check it (and pay extra). For checked bags, it’s a maximum of 62 linear inches and 40 pounds. Bags over 100 pounds cannot be accepted. Bags weighing over 40 pounds are charged more because they require special handling, and extra weight means the plane has to use more fuel during flight. Hot Tip: If you are planning to travel with a checked or carry on bag, make sure to check it online! Doing so at the airport will incur an extra fee. Yes, Spirit Airlines allows travelers to carry a portable dialysis machine on board at no extra cost, and it doesn’t count toward your baggage allowance. Although Spirit allows travelers to be accompanied by these medical devices, they prohibit using the machine during the flight. Why? Because the planes are not fitted with compatible electrical plugs to charge or power medical devices. 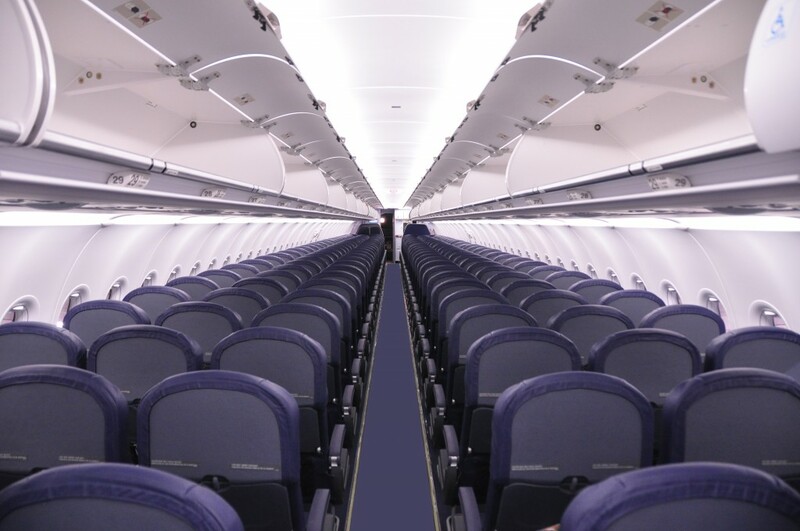 To ensure your medical device is stowed in the plane, it should not exceed 22″ x 18″ x 10″. Passengers are welcome to carry insulin onboard, but it’s recommended that guests inform airline staff about the insulin before boarding. Insulin is normally stored in special bags onboard the flight for safekeeping. Like other medical devices, insulin will not incur a fee during check-in. However, if your insulin is in a bag together with other personal items (like socks, electronics, and clothing), you might owe a fee for the other personal items if the weight exceeds the recommended limit. For more information about traveling with insulin and other medical assistive devices, check the TSA website. Yes, you can carry some sports equipment on your flight. All sports equipment such as hockey sticks, tennis racquets, and others are charged similar to a standard checked bag and checked in the hold. To ensure safe travel, the sports equipment should be secured to the inside of your bag. If they are not packed securely in the bag, Spirit will charge you for a separate bag. If you intend to carry skateboards, Spirit Airlines only permits non-battery-operated and non-motorized versions. Electric or battery-operated skateboards and other sports equipment cannot be checked (since batteries can contain hazardous materials that can endanger other travelers and the plane). Sports items not within the normal carry on dimensions would be checked in the hold and charged a checked baggage fee. Musical instruments such as the ukulele, violins, guitars, cellos, accordions, saxophones, acoustic guitars, electric guitars, and bass guitars are considered fragile. To prevent damage, it is recommended that all guests pack their musical instruments in a case. Instruments are charged similar to a checked bag, meaning you’ll have to pay the checked bag price and any overweight charges. Travelers are also required to sign a release form before departure that relieves Spirit of liability for damage or loss of the musical instrument. 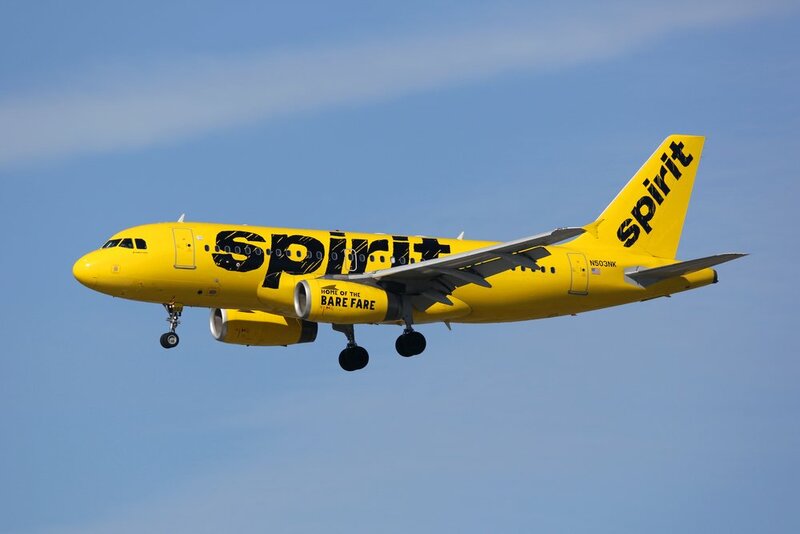 The $9 Fare Club is a members-only club created by Spirit Airlines to offer exclusive access to ultra-low-cost fares and discounted fees on bags. Joining the $9 Fare Club costs $59.95 (first year), and access is renewable at the rate of $69.95 each year thereafter. Applicants have the opportunity of offsetting the membership fee above in as one booking – so the savings are significant! In Step 3 of your registration, you’ll provide your billing information. Spirit Airlines accepts major credit cards and other popular payment systems, and your membership is renewed automatically each year unless canceled. Image courtesy of Spirit Airlines. If registration is successful, a welcome email with your account information is sent to your inbox. Alternatively, you can become a Free Spirit member when you book you first flight. You can book and manage your flight reservation using Spirit Airlines mobile app on Apple or Android. If you have any questions about bookings and managing your reservations within the program, call Spirit Airlines at 801.401.2222. Hot Tip: Keep in mind, the Free Spirit program is a really unique loyalty program and you need to use the miles almost as soon as you earn them. It’s very different than a traditional loyalty program of a legacy carrier. You can actually save upwards of $19 per ticket if you book at the airport, strangely enough — this is contrary to most of Spirit’s policies where speaking to someone at the airport incurs a fee. Because airlines have to pay a federal excise task on base fares, Spirit tries to avoid having to pay this tax by adding on a $18.99 passenger usage fee to tickets booked over the phone or online. This fee isn’t taxes, and since booking by phone or online, it will be included in the vast majority of booking scenarios. Spirit is able to increase what is essentially the fare of ticket without incurring the additional tax. 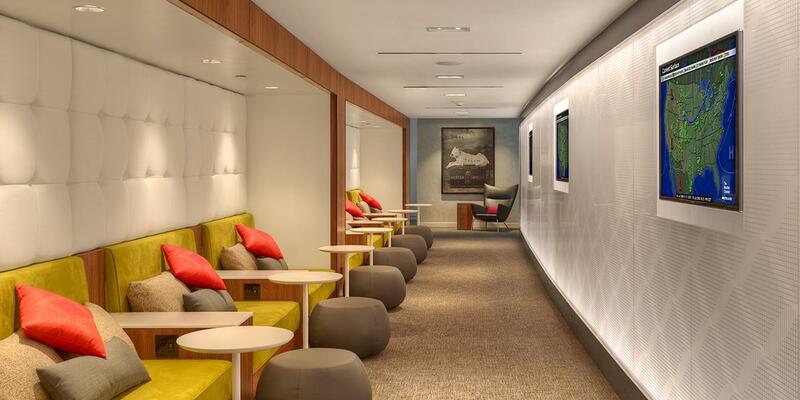 You can actually avoid this $18.99 charge by booking at the airport. When you arrive at the airport, just stand in line to speak to a customer service representative. It’s a way you can get around this nuisance fee. When you get to the counter, let them know your preferred travel dates and routing and they’ll price out the itinerary for you, less the $18.99 fee. While this does save you money on your ticket cost, you need to the weigh the cost of driving to the airport and getting this done, which could be more expensive than just paying the fee at home. Bottom Line: It may sound counter intuitive, but booking a ticket at the airport can actually save you money. There are many nuances to booking Spirit tickets, but with a little know how, it’s easy to figure things out and save a few bucks in the process. Spirit really can save you a ton of money when you travel, and understanding their processes and policies will help you maximize the experience and not overpay.